One of the most rewarding - and difficult - parts of writing science fiction, particularly Space Opera where the story ranges across star systems and even across the galaxy or beyond, is building the universe and the rules that make it work. In science fiction this is often referred to as 'world-building', but it encompasses much more than describing aspects of a planet other than Earth. There are physical considerations, which literally pertain to the laws of physics, for example, how travel across the huge distances between star systems can occur in the first place, and if Einsteinian relativity effects come into play or are somehow side-stepped. I side-step them, using Transpace and Grid-travel (others use hyperspace, for example). Then there are the various alien cultures; not just humans with ridged foreheads, but truly alien species that look and think nothing like we do. These species exist in relation to each other (we are the new kid on the block), and also have their own values and customs, not to mention ships and weapons. But with anything so big as a galaxy there has to be a lot of history. Our measly five thousand years of civilization is meagre in comparison to other species who might have been space-faring for millions of years. It is too convenient (lazy) to assume that time dims alien memory and culture, and so in my books there are races and key events that stretch back this far, and the history is known and revered by all civilized species (except us). 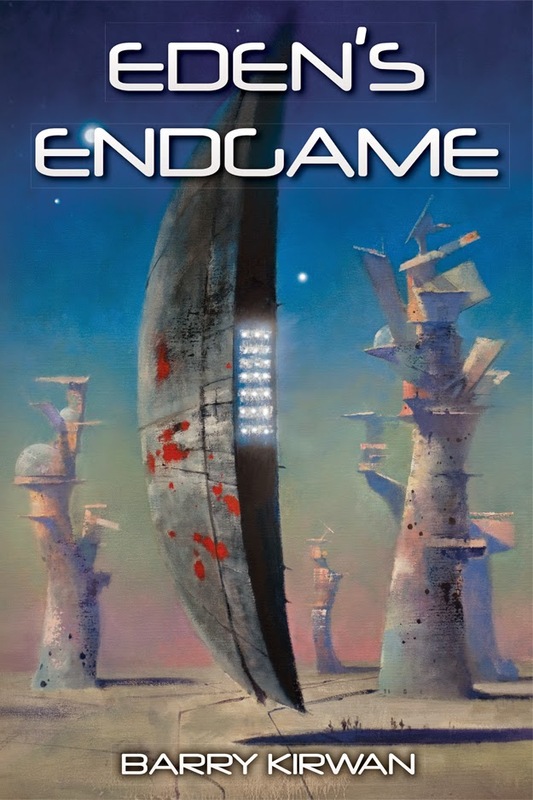 So, now that the series is coming to a close with the publication of the last book in the series, Eden's Endgame, I thought I'd append the Glossary which appears at the back of the final book. It covers all the key alien races, their ships and artifacts, whether in book 4 and the other three books. But it also describes the modes of travel, and refers to the intelligence hierarchy, which is the cultural glue that structures the galaxy. 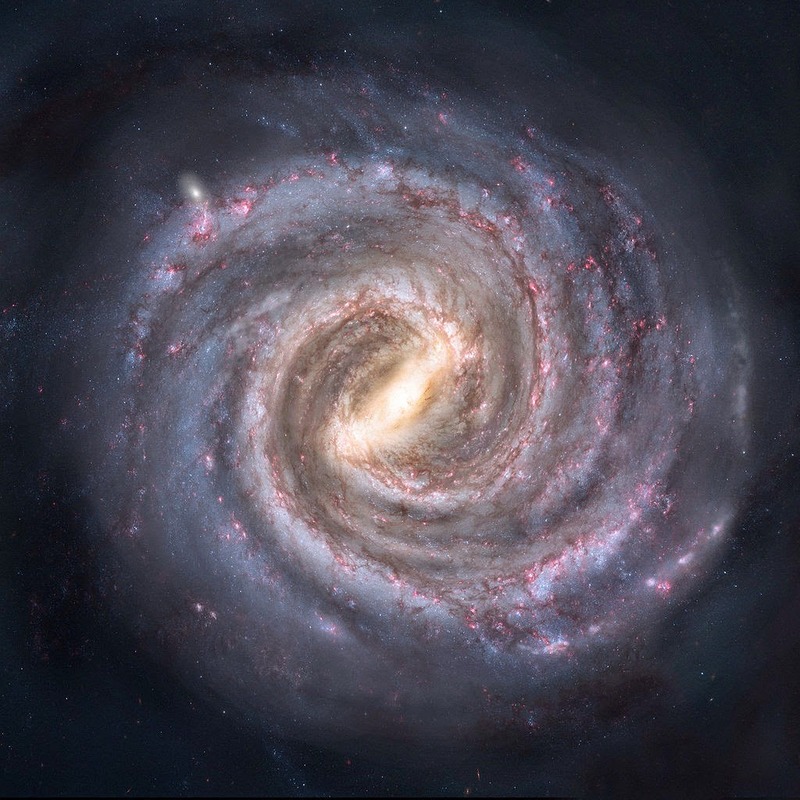 Technically it is known as a taxonomy, and it is partial, because it only covers that portion of galactic life that humanity gets to glimpse in its short foray out into the wider scheme of things. It can also be seen as a cast of characters, in this case alien species including us, and is something akin to the list of credits you see at the end of a film, hence why it is placed at the end of the book. I also put it in the book to help the reader keep track, since a lot happens in the build-up to the final crescendo, the battle where all these different races must take sides to decide the fate of the galaxy. Achillia – personal guard of the Alician Supreme Leader. Alicians – neo-human race genetically altered by the Q’Roth to increase intelligence, resilience and longevity. Alicians are named after Alessia, their founder, who brokered a deal with the Q’Roth in 1053 AD to prepare humanity for culling, and to eradicate Earth-based nuclear and nano-based weaponry, in exchange for genetic advancement and patronage. Alicians are Level Five, and are led by Sister Esma. Louise is an Alician renegade imbued with too much Q’Roth DNA. Anxorians – Level Sixteen race, originally patrons of the Nchkani, who were annihilated in a rebellion fifty thousand years ago by the Tla Beth and the Q’Roth, for reasons that remain unclear. The best hypothesis relates to their military prowess, which possibly began to threaten the Tla Beth. The Nchkani took their place. Dark Worms – leviathan-like creatures that live in the space between galaxies, feeding off both dark and normal energy sources. They are very difficult to kill. Normally they are kept outside by the Galactic Barrier, which was breached by Qorall’s forces. Esperantia –the principal human town on Esperia, population circa 20,000. Esperia – formerly Ourshiwann – the Spider planet serving as mankind’s home after the fall of Earth and Eden, with only two major cities: human-occupied Esperantia, and Spider-occupied Shimsha. Genners – following the trial of humanity, prosecuted by the Alicians and the Q’Roth, mankind was quarantined on Esperia for its own protection and all children genetically upgraded to Level Four (with Level Five potential) by the Ossyrians. ‘Genners’ surpass their parents intellectually by the age of twelve. Grid – ring-shaped ultra-rapid transport hub that runs around the inner rim of the galaxy, for ease of commerce. Grid Society: established by the Kalarash ten million years ago, based on a scale of levels of intelligence running from one to nineteen, with Kalarash at the top. Mankind initially graded Level Three. Hohash – intelligent artefacts resembling upright oval mirrors, designed by the Kalarash, known as omnipaths due to their powerful perception, communication and recording abilities. Their true function is unknown. Hushtarans – Level Eight race with squid-like ships that use anti-matter cables similar to Q’Roth Crucible ships. Jannahi Galaxy – original home galaxy of the Kalarash; destroyed during the first war with Qorall. Kalarash – Level Nineteen beings originally believed to have left our galaxy. Only seven remain in the universe. Little is known about them. They are called Progenitors by many Grid species, as the Kalarash fostered civilisation in the galaxy, based on a strictly hierarchical intelligence-ranking system. The Kalarash never leave their Crossbow ships. Korakkara – volcanic Q’Roth homeworld, partly destroyed by an enemy race, largely uninhabited except for the High Queen and her personal guard. Mannekhi – Level Six human-looking alien race except for their all-black eyes. They sided with Qorall in the ongoing galactic war, due to millennia of oppression by the Tazani under Grid rule. 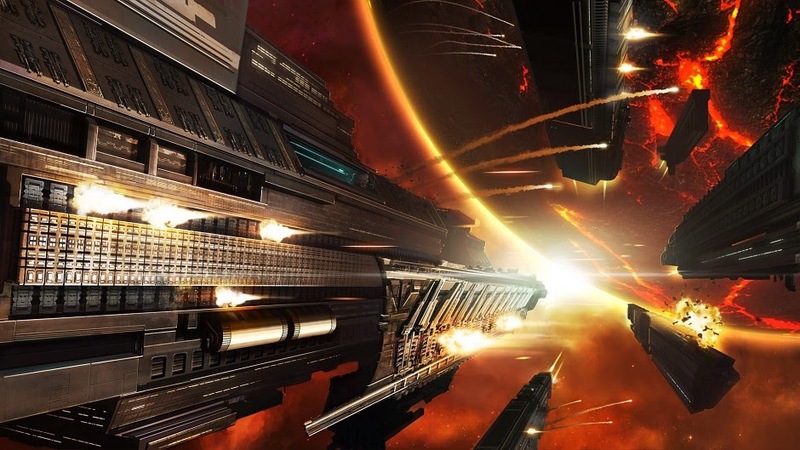 Mannekhi use Spiker ships for war, as well as Javelin Class Dropships for incursions. Nchkani – Level Sixteen warrior race infamous for their brutality in war and insurrections, especially with their ships known as Shredders, and tank-like Crabs for ground assault. Nganks – full name Ngankfushtora – squid-like Level Twelve cosmetic surgeons whose services are usually reserved for higher-level species. Their hospital ships are known colloquially as Lozenges, and smaller triage vessels are known as Egg ships, both due to their shape. Node – an implant developed in 2050, shortly before WWIII, that allowed direct interaction with the web and all social media. Banned due to psychotic and fatal accidents. Kat and Jen each have one. They allow direct communication with the Hohash. Orb – deep space vessel with gravity-based and organic viral weaponry, mode of propulsion unknown; new weapon unleashed by Qorall. Ossyrians – dog-like Level Eight medical race, charged as humanity’s custodians after the trial, their eighteen-year long stay on Esperia led by Chahat-Me. Their hospital ships are known as Pyramid ships. Such ships visited Egypt five thousand years ago. Rapier ships are used for short in-system transit. Ourshiwann – Spider name for the planet Esperia. Qorall [kwo-rahl] – ancient enemy of the Kalarash, and invader of our galaxy. His ship is embedded inside an artificial asteroid the sits just above the event horizon of a black hole. His weapons include ‘greenspace’, which changes the nature of local space, preventing Transpace conduits from opening, and using the black hole to trigger gravitic shock waves. Q’Roth [kyu-roth] – Level Six nomadic warrior race who culled Earth as part of the maturation process for its hatchlings, in a deal with the Alicians. Currently engaged as soldiers trying to stop the progress of Qorall’s forces across the galaxy. The Q’Roth are the formal Patrons of the Alicians. Q’Roth have a number of warships from the Mega Class Battlestar and Crucible warships, to Mesa Class Destroyers, inter-stellar Marauders and Hunters, down to the short-haul Raptor. Quickspace – very rare spatial phenomenon (the spatial equivalent of quicksand) where the fabric of space breaks down due to external factors. Ships and beings caught in Quickspace founder and slip into other spatial realms, usually destroyed by spatial riptides, and are never seen again. Rangers – Level Fifteen taciturn reptilian creatures working for the Tla Beth. The Ranger Shatrall crash-landed in Tibet in the early part of the twelfth century and realized the Q’Roth had targeted humanity for culling. He was unsure the Level Three assessment of humanity was correct, and so unofficially warned a local warrior tribe who became the Alicians’ principal adversary, the Sentinels. Resident – an internal alien-designed symbiote implanted in Micah’s head prior to the Trial of humanity, which acts as a semi-intelligent Level Five translator, with various additional survival-based functions. Savange – new home planet of the Alicians, ruled by Sister Esma. Scintarelli – legendary Level Twelve shipbuilders, whose shipyards dwell in gas giants. Their star-ship designs include the interstellar Starpiercer, the Scythe warship, and the one-man Dart. Sentinels – blood enemies of the Alicians, involved in a silent war over a period of nine centuries. Last remaining Sentinel alive is Ramires. Sentinels were famous for their nanoswords, able to slice through a Q’Roth warrior’s armoured flesh. Shimsha – home of the Spiders on Esperia. Shiva – a Level Twelve Scintarelli Scythe-ship (a Cutlass Class warship) upgraded by Hellera to Level Fifteen. Shiva is a mind-ship, completely autonomous with its own personality. Shrell – Level Nine matriarchal ray-like creatures who live in deep space, guardians and ‘gardeners’ of the space-environment, invisible to most other species as they dwell in Transpace. As well as protecting and fixing spatial tears, they can also poison space. They work for the Tla Beth. Spiders – Level Four race harvested by the Q’Roth one thousand years prior to the culling on Earth. Homeworld called Ourshiwann, renamed Esperia. Visually-oriented race, otherwise deaf and mute. They live in Shimsha, near Esperantia, humanity’s last city. Steaders – the ‘non-genned’ human population on Esperia, so-called because of the preponderance of farms and homesteads surrounding Esperantia. Tazani – Level Seven patrons of the Mannekhi. Their battle-cruisers fire energy packets capable of destroying Mannekhi Spikers. Tla Beth – Level Seventeen energy creatures, rulers of the Grid in the absence of the Kalarash. Their homeworld is located inside a supernova. Their small but powerful ships are called Gyroscopes. Their famed Mega Class battleships were called Grazers, believed to be defunct. Transpace – a form of hyperspace allowing instantaneous travel across light years without relativistic effects. Transpace, however, does not use wormholes, which do not allow organic transport and can cause rips in subspace. Transpar – Blake’s pilot Zack was transformed by the Tla Beth into a glass-like transparent living witness, unable to lie, and devoid (mostly) of his original personality, as part of the judicial procedure during the trial of mankind. Wagramanians – Level Seven forest-dwelling tripeds famed for art, but also employed by the Tla Beth as shock troops during times of inter-stellar war, in their famed Hammer ships. Whisking – short-range teleportation; requires vast amounts of energy, and only Level Fifteen ships and above can do it. Most ships, even at Level Fifteen and above, do not have the capability, and it is used in emergencies only, except by the Kalarash. Xera – Level Eighteen Machine race developed by the Tla Beth, who had to be put down due to their war two million years earlier against ‘organics’. Their City ships were feared by an entire galaxy until they were neutralised in the battle at the edge of the galaxy in a place later named Hell’s End. Zlarasi – Level Six aqua-farmers living in the oceans on Alagara. They use three ships: Conch ships (mass drivers), Diamond warships (anti-matter core and weaponry), and Serpent ships.